Sometimes it may be necessary to access a computer that isn't directly in front of us by means of a direct connection, maybe to help a client with a technical problem or to grab a file that we have left on another computer. In these cases it comes in very handy to have ThinVNC installed. 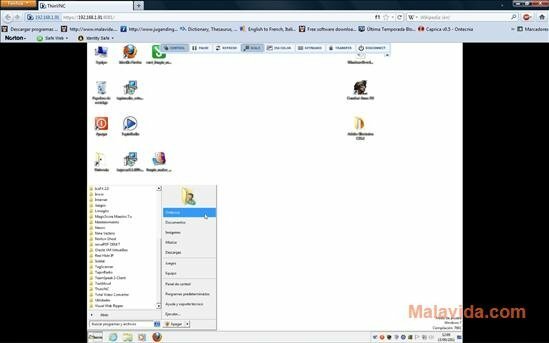 This light VNC (Virtual Network Computing) application allows you to access any remote computer for which you have the IP address and access port using a web browser. The application is very easy to install and hardly uses any system resources, thus it can be left on without any problem. What's more, while the user is using the computer, another user can observe the steps that are being taken perfectly by means of that computer's screen, something that comes in very handy when it comes to explaining what steps to follow to fix something. 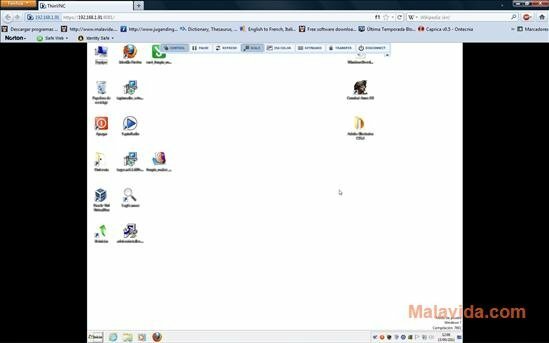 Share your desktop with total security. The control system included in ThinVNC allows different types of protection to be activated so as to avoid the computer being accessed by somebody untrustworthy, as well as to avoid changes to the system without express permission. The access to the virtual desktop can be restricted by means of a password, and the user that is in front of the computer will always have the possibility to cut the connection of any user. What's more, the user can define which files can and can't be accessed via the remote desktop. This is a very good way to protect the operating system's integrity, because it clearly limits what can be changed on the computer remotely. Therefore, if you want to have an application that will allow you to access the computer on which it is installed remotely, download ThinVNC. The free version allows you to use the features of the full version of the program for 30 days.